This report is written on the General Banking of Prime Bank Limited. In chapter 1, I have introduced the topic, along with the objective of the report, which was mainly understand how to gain real life exposure in the banking sector and to get a clear idea about General banking. I have also mentioned the method followed to gather the information and the sources of data. The company profile is stated in the chapter 2. It includes the background of the bank, with principle activities, management and branch’s hierarchy, branch network, ratio analysis of the Prime Bank Limited and SWOT analysis and Loan calculator of Prime Bank Limited. Chapter 3 starts with findings in different situations about General Banking on Prime Bank Limited. In this chapter all the survey questions are graphically presented. Chapter 4 draws summary of this report. I have included my observation, some loop wholes and Prime Bank and the effects of these. Then I have tried to draw out some solution to those problems and some recommendation. Finally chapter 5 has the tables and graphs and other information in the appendix that might be needed for the better understanding of the report. A person or institution that has come to open an account and is then obligated to repay it and any additional fees according to the Account terms. General Banking is so much important for any bank because if they know the perception level of their Customers then they can do all the Account works easily. That’s why in this report I have tried to explain and highlight this issue precisely. As part of the Internship Program of Bachelor of Business Administration course requirement, I was assigned for doing my internship in The Prime Bank Limited as an intern by Northern College Bangladesh. 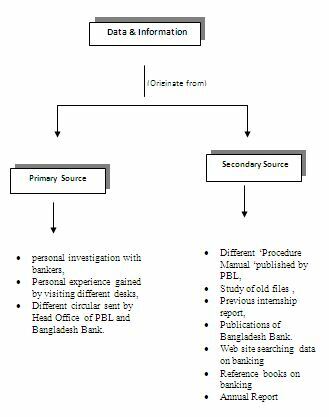 In PBL, I was assigned in the General Banking department of the Motijheel Branch, Dhaka and my organizational supervisor was Ms. Mst. Ashrafun Nesa Officer of Account Opening Section. My project was General Banking in Prime Bank Limited, which was assigned by Mr. Md. Yusuf Ali, Senior Assistant Vice President of the said PBL and my faculty supervisor Md. Mahmudul Haque, lecturer of Northern College Bangladesh also approved the project and authorized me to prepare this report as part of the fulfilment of internship requirements. Theoretical knowledge is not enough for a student. It is miles difference between theoretical knowledge and practical field. So, this two should be synchronized. Internship is launched mainly for this purpose. Another purpose that may be is to know about the rules, regulations and environment of an organization before getting a job. Such experience may facilitate a student to have a better job. To fulfill the partial requirement of the internship program as a full credit subject of the BBA program. To know about the banking sector of Bangladesh. To be accustom with the management policy or process of PBL in Bangladesh. To get an overall idea about the management policy of PBL as well as commercial Bank. 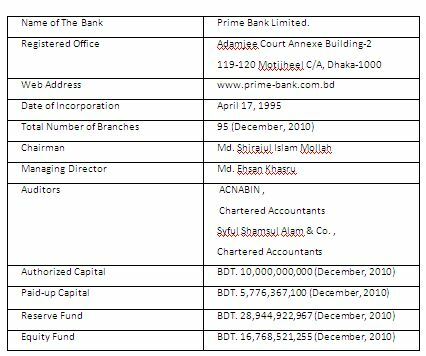 To know the operation of commercial banks in Bangladesh. To describe the customer service process of JBL Bank Limited. To analyze the barriers faced by the banks in Bangladesh. To suggest a supportive role in the progress of banking system in financial sector. To know about the objectives and planning of JBL. To know how the branches are efficiently controlled. To identify whether all process are perfectly and effectively practiced or not. To find out the sectors in which such types of problems exist. To make an opinion on the reports. The nature of this report is descriptive, so instead of doing any survey or using sampling method, observation method is used to complete this qualitative research. Most of the necessary information has been collected by face to face interview. Population:The study has been conducted on the General Banking on Prime Bank Limited. But because of branch specific constraints it was conducted on the account opening section. Sampling Unit:Only branches of Prime Bank in DCC area was under consideration for the sampling unit for the study, i.e., Motikheel Branch, Karwanbazar Branch, Bangshal Branch, Asad Gate Branch, Panthapath Branch. Sampling Technique:Random sampling is used for the purpose of the study. The study would focus on the following areas of Prime Bank Limited. Credit appraisal system of Prime Bank Limited. Procedure for getting different credit facilities. Portfolio (of Loan or advances) management of Prime Bank Limited. Each of the above areas would be critically analyzed in order to determine the efficiency of PBL’s Management system. In conducting this report basically, there have been two types of data and information used. The name of those two types and their sources to reveal the information for preparing this report has been showed in a flow chart in the next page. Observation:Observation method is often used to complete this qualitative research because it is very difficult to provide any specific example from any file about certain document, as the matter is very sensitive for the client as well as for the bank. Interview:Primarily some data are collected from face-to-face interview of different employees of Prime Bank Limited at Sat Masjid Road Branch. By face to face conversation with the Borrower’s and by personal interviewing it is easy to collect the accurate information for the study. For the purpose of this interview, customers were asked to fill up a questionnaire. Based on their answer, it is easy to justify the Borrower’s Perception on Prime Bank Limited. Difficulty in gaining accesses to financial sector. Non‐availability of the most recent statistical data. As I am student it is not possible for me to collect all the necessary information. I had to complete this report within a very short span of time that was not sufficient for investigation. During the booming years of the banking industry of Bangladesh, a group of highly skilled local entrepreneurs came up with an idea to float a commercial bank with a different outlook. The idea was to build a banking organization with excellence, competence and consistent delivery of reliable service with superior customer satisfaction. The outcome of this thinking was the Prime Bank Limited, commenced its business on April 17, 1995. Since the beginning the bank is being managed by a team of professionals, with dedication and sincerity. Their experience and hard work has taken the bank in the leading position. The bank is constantly focused towards the understanding and predicting customer’s needs and meeting them. It is giving a tough competition to other banks in case of performance and customer satisfactions. The bank offers almost all sorts of commercial banking services within the framework of Banking Company Act, and the rules and regulations lay down by the Bangladesh Bank. These services include corporate Banking, Retail Banking, and Consumer Banking etc. Within this short time the bank has already claimed a position among the top ranked banks in our country through ensuring high profile management, experienced, dedicated and skilled employees, and a whole lot of hard works. It has adopted the CAMEL rating, BASEL II and all other international requirements. It is always responding to technological enhancements and developments. The introduction of ATM in March 2008 and Internet Banking in 2009 ushered a new era and prime Bank is now wed poised towards the expansion of alternative delivery across Bangladesh. Prime Bank is one of the most renowned names among the well performing banks in the banking industry and it is continuously working hard to hold its position in the market as the leader through providing top class services. Continuous improvement in business policies and procedures through integration of technology all the levels. To be the market leader in high quality banking products and services. Active excellence in customer service through providing the most modern and advance technology in the different spheres of banking. To provide credit facilities to the small and medium size entrepreneur located in urban & sub-urban area and easily accessible by branches. To develop saving attitude and making acquaintance with modern banking facilities. To inspire for undertaking small projects for creation of employment through income generating activities. To have sustained growth, broaden and improve range of products and services in all areas of banking activities with the aim to add increased value to shareholders’ investment and offer highest possible benefits to the customers. The Principal activities of the bank were banking and related businesses. The banking businesses included deposits taking, extending credit to corporate organization, retail and small & medium enterprises, trade financing, project financing, international credit card etc. Prime Bank Limited provides a full range of products and services to its customers, some of which are mentioned below with a brief overview of the major business activities. As a part of risk diversification strategy PBL expended the lending activities in this sector during 2006. The growth rate of PBL’s consumer financing was 38% during this year. The loan schemes offered by the bank include Home Loan, Loan against Salary, Marriage Loan, Car Loan, Hospitalization Loan, Education Loan, Doctors Loan, Travel Loan etc. Job creation is essential and it must come from Small and Medium Enterprise that will ultimately dominate the private sector. During 2006 bank’s Strategy was focused on customer convenience. The Bank provided working capital loans to suppliers or dealers of large corporations or clusters of small exporters of non‐traditional items. Outstanding loan of SME is Tk.437 million. The growth rate of PBL’s SME Lending was 41% during this year. PBL’s strategy is to provide comprehensive service to the clients of this segment who are large and medium size corporate customers with expertise in trade finance and related services. Besides trade finance bank are providing working capital finance, project finance and arranging syndication for our corporate clients. Syndication and structured Finance Unit of the Bank strengthened its footstep in the consortium financial market and arranged a number of syndication deals for its corporate clients. For the development of Islamic Banking Business, 2006 was also a commendable year. It has been observed that compliance of Shariah has improved in 2006 as compared to the preceding years. According to their advice Islamic Banking operation of the bank has been separated from the operation of Conventional Banking and shown separately in the bank’s financial statement. It is found that the investment and deposits grew by 38% and 89% respectively in the year 2006. The operating profit of Islamic Banking Branches grew by 45% during the Year. In the year of 2005, Prime Bank Ltd has launched VISA. Before that PBL started its credit card operation in 1999 by introducing Master Card. Now PBL has become the first local Bank of the country to achieve principal membership of both the worldwide‐accepted plastic money network i.e. Master Card and VISA. PBL has redesigned the credit card facility by providing the incentive of “Free Life Insurance Coverage” for their valued cardholders to mitigate the financial risk. This division is operational throughout the group and PBL’s core strength is trade finance and services. With an experience, Prime Bank has developed knowledge of trade finance, which is world class. Principle services to importers include imports letter of credit, import bills for collection and back‐to‐ back letters of credit facilities. Services provide to exporters include export letters of credit, direct export bills, bonds, and guarantees. Prime Bank recognizes the importance of cash management to corporate and financial institutional customers, and offers a comprehensive range of services and liquidity management. Prime Bank Limited provides a wide range of services to institutional clients, commercial, merchant and central banks; brokers and dealers; insurance companies; funds and managers, and others. It provides relationship managers who are close to their customers and speak local language. This wide network of institutional banking facilities includes transaction, introduction, problem solving and renders advice and guidelines on local trading condition. 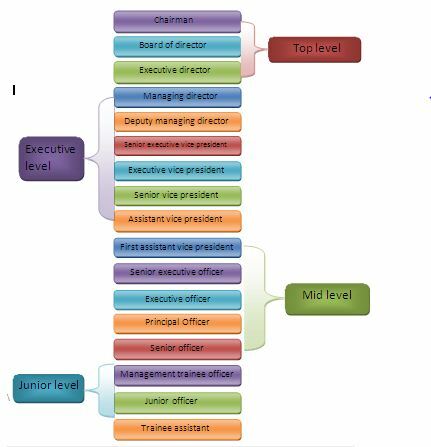 Treasury operations had been consideration as an important avenue for income generation purpose within Head Office. In fact, in the past, income from treasury operation was quite sizable and significant to the total income generated by the bank. The treasury division publishes daily and weekly currency newsletters, which provide analyses of currency trends and related issues. Seminars and workshops are conducted for customers from time to time on foreign exchange related topics. Prime Bank is one of the first local banks in Bangladesh to integrate treasury dealings of local money market and foreign currency under one Treasury umbrella. The bank has handled significant volumes of treasury over the last several years. Prime Bank’s Dealing Room is connected with automated Reuters Terminal facility thus enabling the bank to provide forward/future facilities to its corporate clients at a very competitive rate. The Bank’s operation in this sector was limited to Underwriting, Portfolio Management and Banker to the Issue functions. The compulsory requirement for opening BO account for share trading has increased the demand for opening BO account. The bank has set up a Wide Area Network (WAN) across the country to provide online branch banking facility to its valued clients. Under this scheme, clients of any branch shall be able to do banking transaction at other branches of the bank. • Cash withdrawal from his/her account at any branch of the bank. • Cash deposit in his/her account at any branch of the bank irrespective of the location. • Cash deposit in other’s account at any branch of the bank irrespective of the location. • Transfer of money from his/her account with any branch of the bank. At present 24 (Twenty Four) branches are under online. Clients can easily deposit and withdraw money from those online branches in a moment. Prime Bank Limited is one of the first few Bangladeshi banks, which have become member of SWIFT (Society for Worldwide Inter‐bank Financial Telecommunication) in 1999. SWIFT is a member‐owned co‐operative, which provides a fast and accurate communication network for financial transactions such as Letters of Credit, Fund Transfer etc. By becoming a member of SWIFT, the bank has opened up possibilities for uninterrupted connectivity with over 5,700 user institutions in 150 countries around the world. Prime Bank Limited adopted automation in banking operation from the first day of its operation. The main objective of this automation is to provide efficient and prompt services to the bank’s clients. 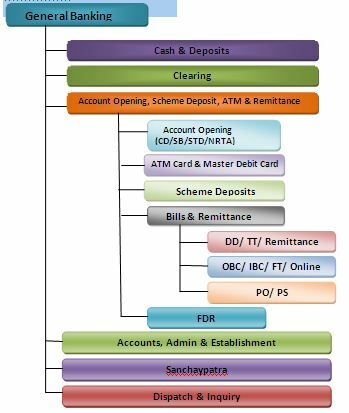 At present, all the branches of the bank are computerized. At branch level, the bank is using server‐based multi‐user software under UNIX operating system to provide best security of automation. The bank had been one of the most profitable in the banking sector. The bank’s return on assets (ROA) was 2.16% in the year 2010. Even though the capital market of the country has been suffering over the last few years, the good performance of Prime Bank made sure that the banks share price remained in a respectable position. Prime Bank Limited offers various kinds of deposit products and loan schemes. The bank also has highly qualified professional staff members who have the capability to manage and meet all the requirements of the bank. Every account is assigned to an account manager who personally takes care of it and is available for discussion and inquiries, whether one writes, telephones or calls. • One stop services for payment of utility bills. The bank has been graded as a top class bank in the country through internationally accepted CAMEL rating. Service is not very fast and efficient. Opportunity to take market share away from rivals by offering new innovative product or services. The bank has a strong presence in emerging markets, putting it in a good position to take advantage of future growth. Good financial position creating a good reputation for future bank loans and borrowings. Entry of new commercial banks, leasing companies and merchant bank etc. Competitors are offering more innovative products and services regularly. Financial losses affecting banks and investors on a global scale have resulted in less credit being available to customers. Loans and Advances of the Bank grew strongly by 28% to 57683 million in 2009. Bills purchased and discounted increased by 5% indicating strong growth in export performance. The Bank’s deposits and the Customer deposits of the Bank grew by 29% & 29% respectively in 2007. However, fixed deposits remained the main component of deposits contributing about 26% of total deposits. PBL is subject to regulations and compliance of regulation is must. Changes in policies with regard to interest rates, pricing have significant effect on the performance of the Bank. Bangladesh Bank is expected to continue its persuasion to reduce the spread and charges further which is likely to affect the performance. Changes in provisioning requirement will also affect the performance of the bank. Cash Management is a process by which cash in charge forecasts the future demand of liquidity, manage the availability of cash, set the officers in counter as needed and take the managerial decision where needed. Cash Management in a Bank is crucial to ensure smooth customer service. This is one of the most important parts of total banking as well as General Banking. In order to meet up cash requirement, a customer has to visit the cash counter of his / her desired branch. Generally, the Principal Branch/Local Office acts as cash feeding/ managing branch of a Bank. It acts as the central depository of cash for all the branches within a specified area. Cash Management is not only the routine work but also a managerial decision making task of cash in charge. Here cash in charge acts as a manager. That is why cash in charge is called cash manager. One of the most important functions of cash department is to receive cash from the customers. Cash may be deposited either by deposit Slips for SB/ CD/ CC accounts or by other credit voucher like single credit voucher, pay order/ Draft/ T.T. application forms. Another most important function of this department is to pay cash to bank’s clients. Cash is paid through cheque leaf supplied by the bank. Every day total receipt from clients & payment to clients related register maintained by branches to comply with the computer i.e. Cash Balancing. Where inter-bank receivables and obligations are settled. A particular house/place under the control and supervision of the Central Bank of the country, where representatives of the member banks / schedule banks / assembles / meet together for settlement of their respective banks receivables and payables. It sits on all working days. In our country clearing houses are organized by the Bangladesh Bank (Central Bank of Bangladesh) at the different big cities. Account opening section establishes contractual relationship with their customers through opening new accounts. Here, people come to open different kinds of accounts and schemes to be associated with the bank and to get various banking services. Individuals open savings account for the purpose of saving which in turns meet their future needs. Minimum amount for opening an account is Tk.1, 000/=. The current interest rate on deposit in PBL is 6.60% per annum. A current account is a running account which is appropriate for all types of organizations since frequent withdrawals do not result in a penalty. There is no interest earned from current deposit account. This account can be opened with a minimum amount of Tk. 5,000/-. It is same as current account exception that notice is required to be given to the bank before each withdrawal is made. For withdrawal of any amount from the STD Account 7/30 days notice, as per option will be required. It is an interest bearing deposit. This account can be opened with a minimum amount of Tk. 25,000/-. Bangladesh Bank imposed the rule of all local and international banks that they should use “Magnetic Ink Character Recognition” (MICR) to do transect faster than before. Magnetic Ink Character Recognition (M.I.C.R.) is a character recognition system which is recently introduced in Bangladesh and primarily used by the banking industry to facilitate the processing of cheques. The main purpose is to enhance security and prevent cheque related fraudulent activities. It ensures faster processing and reduces the cheque clearing time. Internet Banking: PBL also provides internet banking service to their account holder’s for balance enquiry, view account statement, view loans schedule,view deposit schedule. Account Closing: Account can be closed for two reasons, one is by banker other is by the customer. By Banker: If any customer doesn’t maintain any transaction within 6 years and the account balance becomes lower than the minimum balance, banker has the right to close an account. By Customer: If the customer wants to close his/her account, he/she has to write an application to the manager for closing an account. ATM Card: Automated Teller Machine (ATM) card is new concept in modem banking, has already been introduced to facilitate subscribers 24 hour cash access through a plastic card. Prime Bank Limited has started their ATM card services from 15th March 2008 by opening a ATM booth at Motijheel Branch. After that Prime Bank Limited made an agreement with Dutch Bangla Bank to use their ATM Booth. Master the power of money with us! Withdrawal or shopping was no easier and convenient ever before! Prime Bank offers you Master Debit Card; the fast, secure and convenient way to withdraw cash and convenient transactions at different MasterCard branded POS terminals. If you are a SD/CD/STD account holder of Prime Bank, you can avail this debit card and can master over 1300 ATMs all over Bangladesh and can get privilege in the MasterCard branded POS or MasterCard branded network. Contributory Savings Schemes (CSS): Under this scheme Minimum size of the monthly instalment is Tk.500.00 and multiples of Tk.1000.00. Maximum instalment size shall be 25000.00 for five year period. Lump sum amount shall be paid after maturity or monthly pension shall be paid for the next 5 years according to size of deposit. Lackhopati Deposit Scheme: Under this scheme size of the monthly installments are Tk.250.00, Tk.500.0O, Tk1285.00, Tk.2400.0O depositor will receive Tk.1,00,000.00 after a number of period depending on installment size .Higher the installment size lower will be the maturity period. Prime Millionaire Scheme: This scheme is similar as Lackhopati deposit scheme only the installment amounts is larger and at maturity depositor will get Tk.10 lac. Education Savings Scheme (ESS): Under this scheme parents can save for their children’s education by paying a certain amount of monthly installment and Lump sum amount shall be paid after maturity. Monthly Benefit Deposit Scheme (MBDS): Under this scheme customer can deposit a fixed amount of money for five years .The amount has to be 100,000 or multiple of 100,000 he / she will receive 900 per month as interest on every lac during those five years. Double Benefit Deposit Scheme (DBS): Under this scheme a customer can keep a fixed amount of money for six year end of the maturity period the amount will become double .The amount has to be multiple of 25000. House Building Deposit Scheme (HBDS): This is an Equity Building Scheme for Housing Loan Facility. Under this scheme a customer deposit a certain amount of monthly installment for the period of 5/7/10 years. According to the installment size and duration of the deposit, equity building amount shall be Tk.10.00lac/ Tk.20.00lac. My Experience in Prime Bank Ltd. Checked and filled up (if necessary) new account opening form. Prepared thanks letter after opening new account. Recorded the new opening account in the register book. Checked the signature verified or not when receiving the cheque requisition slip from the customer. Inputed the data into computer for issuing new MICR cheque books. Sorted the cheque books through requisition slip. Received customer signature in the MICR register book and matched the signature with the cheque requisition slip then provided the cheque book to the customer. Matched the issued cheque books according to the customer’s name and cheque numbers. Recorded the stop payment of cheque in the register book. Do you face any problems in account services of Prime Bank Limited? What are the problems in account services of Prime Bank Limited? Yes.there are some problems in account services of Shahjalal Islami Bank Limited. Lack of setting arrangement for the waiting customers. Sometimes it seemed to me that charges and other fees are very high compared to other private banks. It frequently creates customer dissatisfaction. Sometimes the Customer Service Officers were so busy that it creates delay to the customer service. And at the end of the day the closing were also delayed. Branches are very much enthusiastic to provide more service to the clients. General Banking Division is an efficient department. They are very much prompt to give decision to their valued client. 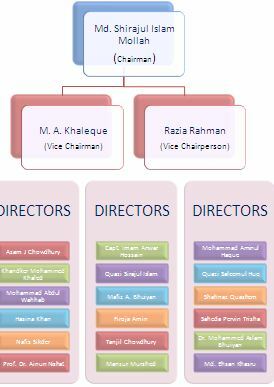 Head Office Credit committee sits regularly on weekly basis. They never keep any things pending. Lack of good cooperation is identified among the work procedures and among the employees of the bank, which results in lengthiness and ineffective service. The employees of the bank cannot provide effective and efficient services to the customers because of lack of computer facility. Do you face any problems in Deposit Schemes of Shahjalal Islami Bank Limited? 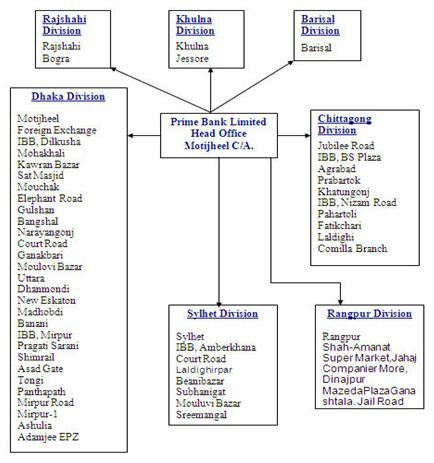 What are the problems in Deposit Schemes of Shahjalal Islami Bank Limited? Yes.there are some problems in Deposit Schemes of Shahjalal Islami Bank Limited. Deposit interest rate is low between the other banks. After maturity In fixed deposit they deducted some other charges. Long procedure to withdraw interest. It is not so much well-known Bank. The investment of the branch is too low in comparison to the total deposits of the branch. Do you face any problems in Cash Services of Prime Bank Limited? Yes, there are some problems in Cash Services of Prime Bank Limited. Prime Bank is an emerging bank. The bank has only completed a decade of banking services. At the initial stage of business, every institution has to go through the difficult path of survival. To achieve the confidence of the customers, the bank must execute some improvements in its marketing and operational areas Prime Bank Ltd should try to win customer’s faith by providing them efficient and dependable services, credit facility and updating with user friendly modern technologies. The bank should redesign all sorts of banking procedures to be more user-friendly, attractive and impressive. Prime Bank limited started with a vision to be the most efficient financial intermediary in the country and it believes that the day is not far off when it will reach its desired goal. It looks forward to a new horizon with a distinctive mission to become a highly competitive modern and transparent institution comparable to any of its kind at home and abroad. Improve office atmosphere to give customer friendly feeling. Provide intimate attention to your customers’ needs. Customers’ convenience will be of Top priority. Fast Service Policy should be introduced. So that everybody get faster service. The bank should try to arrange more training programs for their officials. Quality training will help the official to enrich them with more recent knowledge of banking and improve their skill. Over burden of work and ill defined assignment unable the employee to discharge their duties in cool manner. It is also creates a hazardous situation in the work process. So all the employees should be assigned with proper and specific assignment. Time consumed in servicing customers is minimized. Help new entrepreneurs to formulate business plans. In a developing country like Bangladesh the banking system as a whole play a vital role in the growth of economic development. Hence, this sector contributes a lot towards socio-economic development of a country. Nowadays there are so many banks emerged in our country to serve the customers by providing lucrative financial products and better services. Among them, PBL is getting an advantage of being an old generation compared to newly established bank in the form of wide range of activities. But they must emphasis on some certain factors to compete with their competitors. They have to adapt new technology as well as execute the task by experts. They must accept any failures and take it as a challenge to overcome. It is obvious that establishment of right channel of banking, creates a successful network over the country which increases resources. PBL have expanded their network by opening branches all over the country which indicates a positive signal. Although there are some shortcomings but it can be overcome through developing the product effectively, finding out the new opportunities from the market and respond promptly. I have worked in Motijheel Branch as an Intern for three months and I have really enjoyed my work from the very first day. During my internship, I have been placed specially in General banking sections. I have acquired some practical knowledge through dealing different things in these sections. The practical exposure will eventually help me for further thinking of my career. Now I know how to be organized and do things systematically. Taking care of different items such as PO, DD, Accounts, Cheques, etc. and moreover making sure that all my work procedures went smoothly have made me a much more organized person than what I used to be three months back. Likewise, dealing with such valued customers have also helped me to improve my interaction skills and helped me to gain confidence. Being in such a friendly work environment with so many helpful personnel has helped me to learn how to work in a team effectively. Finally, I can conclude by saying that since its inception PBL is trying to make a distinguish position in the place of customer’s mind and they made it through their solid brand image, experienced and proficient employees. And it was indeed a pleasure doing my internship in Prime Bank Limited. 1. P. N. Varshney, Banking Law and Practice: 19th edition,2001. 2. Foundation Training Book of Prime Bank Limited. 3. Prospectus of prime bank ltd.
4. Annual Report 2010 of Prime Bank Limited. 5. Banking theory and practice by Shekhar.